Handy Location, location location. 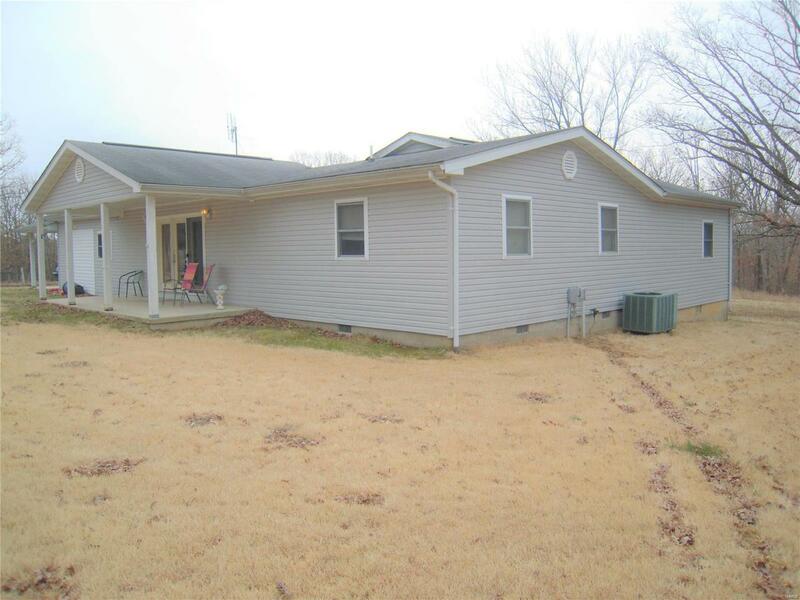 Home has 3 Bedrooms & 2 full Baths and sits on 5.37 +/- acres and just a short distance to town. Private property to do with as you please. Sit on the covered front porch or back deck and watch the time go by. Very nice 40'X30' workshop with 1 over head door + a side door entry. It's framed to put in 1 or 2 more overhead doors. There is also a 21'X23" shed with a slid door & reg door. It could be used for animals. To complete the check list, there is also a small pond with a few fish to catch. Home is partially rehabbed. Much is done but the Owners are unable to finish. So a little more there to be done. Additional 3.5 +/- acres for sale also. Call and make your appointment today.